I wanted to give you a quick update on my blog post about cooking one homemade meal a week. I haven’t been cooking as much as I’d like, but I have made some of the dishes I blogged about, and I’ve been trying to make more of an effort to prepare different meals for myself instead of eating the same thing every night. In the past month or so, I’ve made cilantro and lemmon hummus, mushroom burgers, garlic green beans, pasta salad, and a birthday cake from scratch. Of all the veggie burgers I’ve made, these mushroom burgers were the best. They fall apart easily when you’re cooking and eating them, but they’re simple to make and they definitely satisfied my vegetarian cravings. They have a pretty strong mushroom taste, so you may not like them if you’re not a big fan of mushrooms. I’d still recommend giving them a try, though. 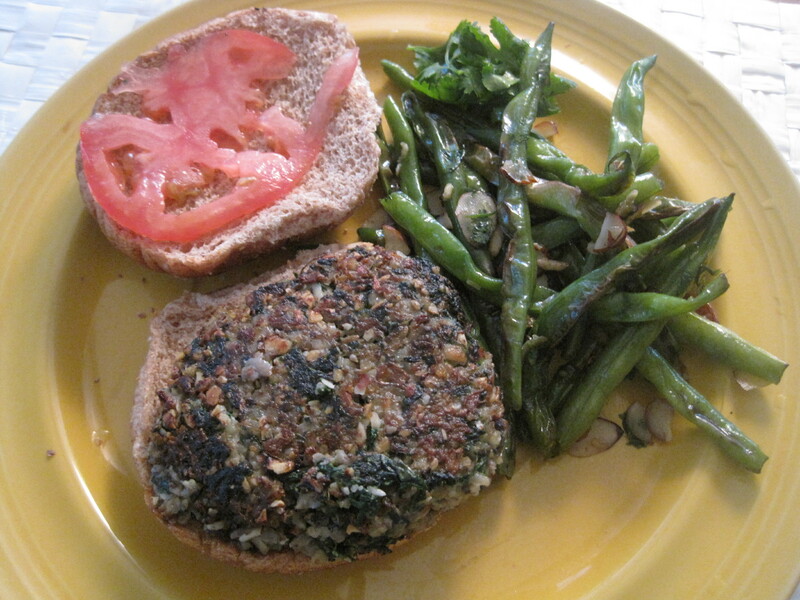 I served the mushroom burgers with a side of garlic green beans. They looked a little wilted, but they still tasted good! 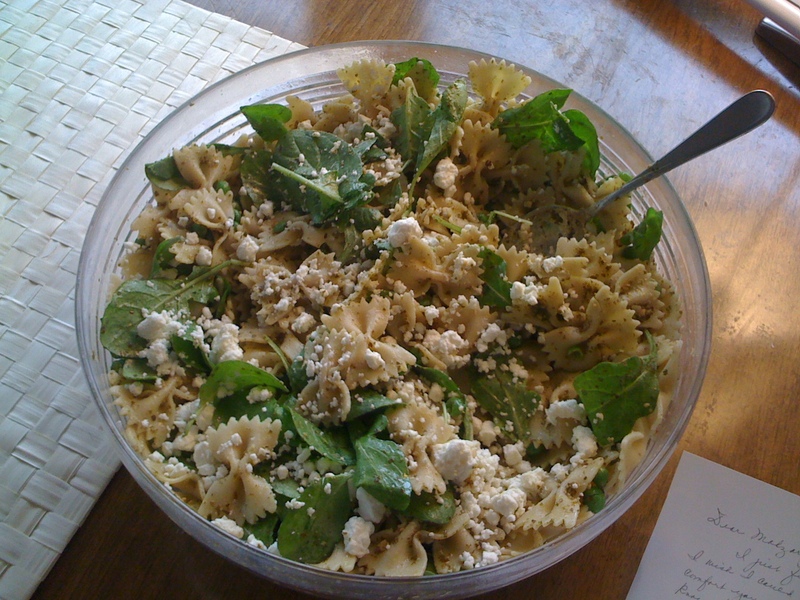 Here's a concoction I came up with myself: Bow tie pasta with arugula, red peppers, goat cheese, pine nuts and pesto. Yum. 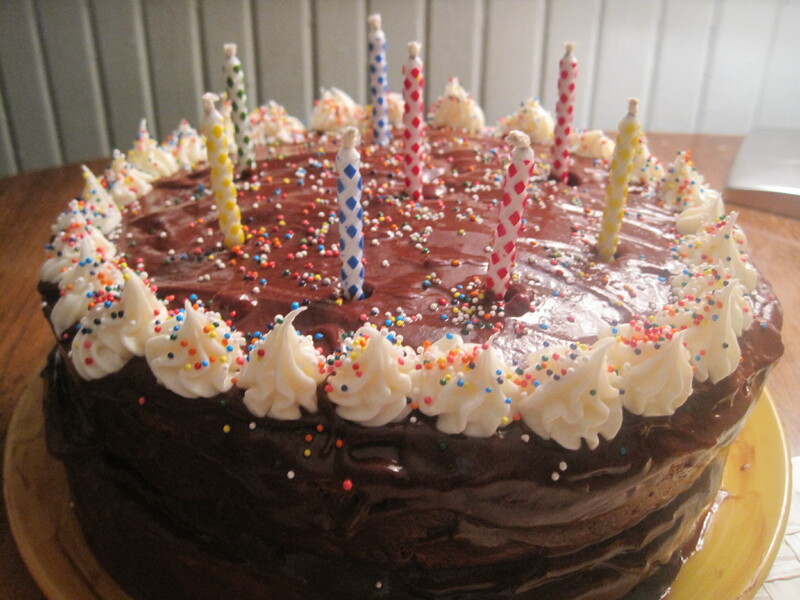 This is supposedly "the best birthday cake ever," according to the recipe. I'm not sure I would give it such a high accolade, but it certainly tasted good. Next time, I would make each layer a little thinner.